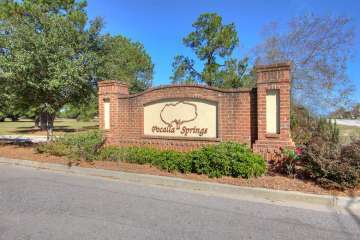 Nestled among mature oak trees, Pocalla Springs features new homes in Sumter starting in the mid $100s and ranging from 1,400 to 4,000 square feet! Choose from one or two-story homes with up to six bedrooms, open floor plans, and luxurious master suites. This beautiful new neighborhood is filled with sidewalks and greenspaces that provide you with the perfect setting to relax and breathe in the cool Carolina evenings in flourishing Sumter, South Carolina. Pocalla is convenient to downtown Sumter, Continental Tire, and Live Oak Industrial Park.